Letter D handwriting worksheets. Practice tracing the letter D in capital uppercase including Kindergarten vocabulary words that begin with the letter D.
Our free alphabet letter D words worksheet for kids is available in pdf. Words to trace: DAY, DOG, DRESS. 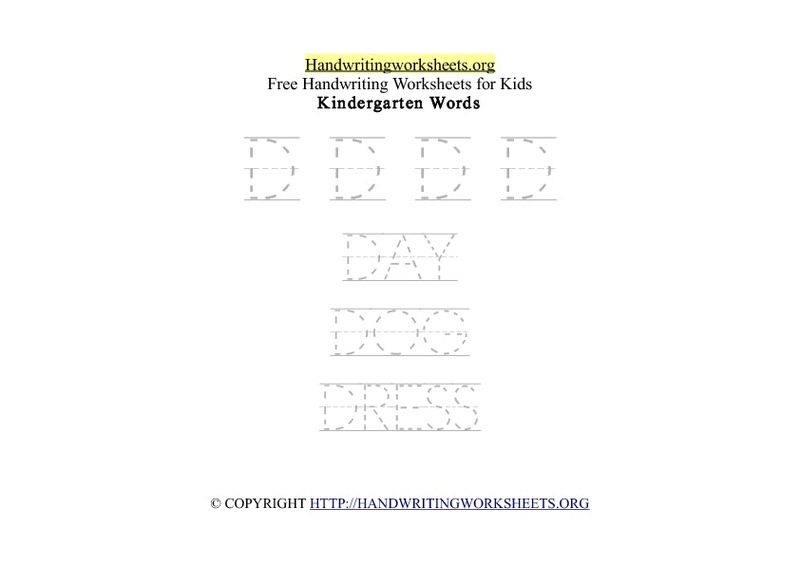 Thank you for previewing our letter D handwriting worksheets in pdf format. Preview and print this worksheet below. You can print this letter D worksheet for free. These printable PDF worksheets are formatted to print on A4 paper.